Affirmations are amazing tools, and when used properly, can shift and change your energy in wonderful ways. 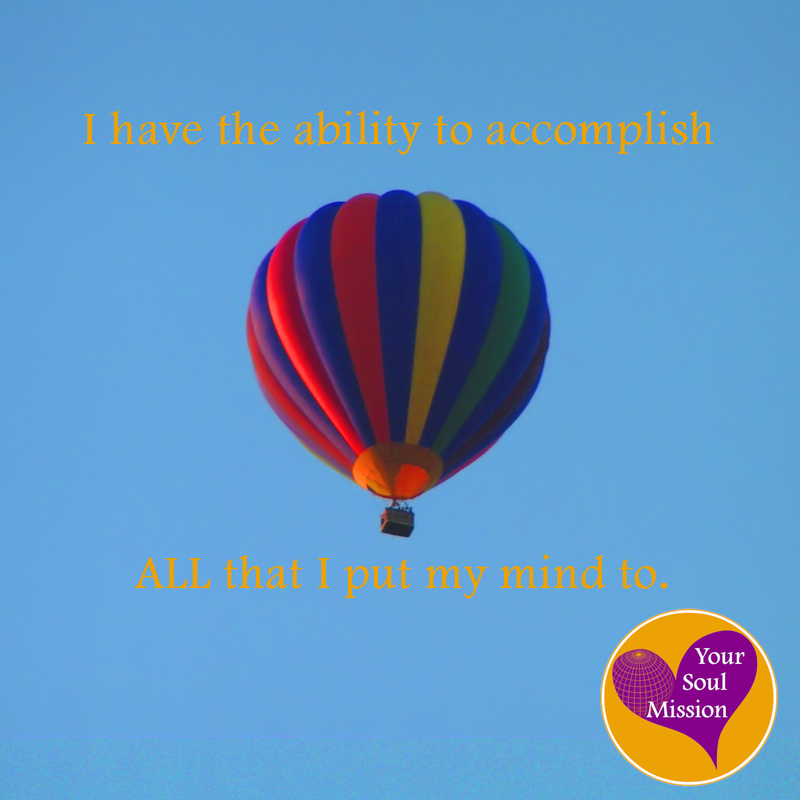 There are affirmations included in many different sections of Your Soul Mission. You can find affirmations to support each Astrology sign, and to help you transform your past life patterns. Here are 10 great basic affirmations for empowerment that everyone can use in their life. When you use affirmations, it is recommended that you only pick the ones that you resonate with. You only need to choose about 5 different affirmations when you are starting out. You can benefit the most from the use of affirmations when you say them regularly. It is recommended to say your chosen affirmations 5-10 times, twice per day. Over time, you will find that you may wish to add more affirmations to your routine, and that you will no longer need to say certain ones, as the energy will have been transformed. It is important to adjust and change your affirmations you go, as you do not want to make saying them too routine. Affirmations are most effective when you believe them to be true, AND when you connect with the words you are saying!